Santa Paula-based Limoneira reported drops in revenue and operating income for the second quarter of 2016 in an earnings report June 9. But analysts reconfirmed strong fiscal year 2016 and 2017 outlooks despite the quarter’s performance, due to favorable lemon pricing and expectations for the company’s real estate development segment. Limoneira’s recently expanded packing facility is also expected to reduce costs significantly. Revenues were $27.4 million, compared to analyst estimates of $28.4 million, and earnings per diluted share were 6 cents, missing the mark on analyst estimates of 22 cents. Second quarter agribusiness revenue fell slightly from $26.9 million in 2015 to $25.9 million in 2016, made up by a slight increase in rental operations revenue for the same period. Avocado sales dropped by $2.9 million because of increased competition from Mexico and an accelerated harvest plan the previous year that wasn’t repeated. 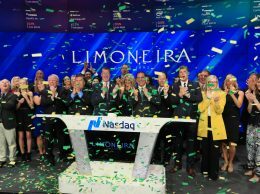 Limoneira reiterated expectations to sell between 2.7 million and 3 million cartons of lemons and around 9 million pounds of avocados, resulting in earnings per diluted share of 28 to 33 cents for the fiscal year 2016. Quarterly operational costs were higher than expected for the Santa Paula packinghouse that came online in March, Edwards said. The machinery doubles annual capacity and reduces labor costs but took longer than expected to reach full capacity. Results should be visible over the next three to six months, Edwards said, allowing the company to reduce line staff by 50 temporary employees. Operating income dropped by almost half from $4.1 million to $2.2 million and the company had an operating loss of $4.1 million for the first half of 2016. The net loss per diluted share for the first half of the year was 21 cents, compared to earnings per diluted share of 6 cents last year. The company reported $1.2 million in transaction costs for the joint venture it entered into with The Lewis Group in November to develop the Harvest at Limoneira project. The project is expected to result in $100 million to $130 million in revenue for the company when completed. Grading is expected to begin mid-2017, with strong interest from tenants pointing to sales beginning at the end of that year. Net cash used in operating activities increased from $1.5 million last year to $5.9 million for the first six months of 2016. Net cash provided by financing activities was $13.4 million and debt as of April 30 was $102.5 million. 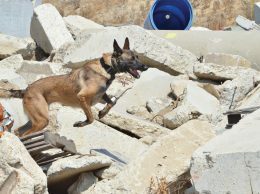 The company has adequate supplies of water after favorable rainfall in both its Northern and Southern California districts, unless drought conditions persist or worsen or new regulations restrict access, Edwards said. 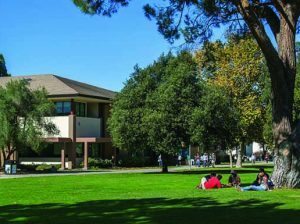 Additionally, a Ventura City Council meeting last week that put a $26,457 value per acre foot on water gave it a “benchmark” for the value of the approximately 10,000 acre feet it owns in that county. The company plans to continue to look for politically stable growing regions for investments to add to its Chilean and South African partnerships. • Contact Marissa Nall at [email protected]ztimes.com.